Note: This Itinerary can be customized according to your Interests, budget,Season, group Sixe and time as well. Discount available for people above 3 Pax- Just contact us.. Contact us for budget accommodation price. Meet on arrival and transfer to Nairobi for dinner and overnight. 1300 Hrs. Stop for lunch at your Lodge. 1400 Hrs. Transfer to Arusha via the Namanga border. 0930 Hrs. Return to lodge for breakfast. 1030 Hrs. After your breakfast; depart with picnic lunch to Ngorongoro conservation area for your dinner and overnight at crater rim. 0730 Hrs. After breakfast, drive and descend into the crater floor with your lunch box for game viewing. The famous Ngorongoro Crate is rich of wildlife, each species have their own territories. 1400 Hrs. 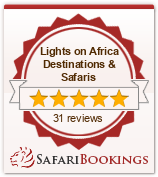 Ascend the crater and drive to Serengeti National park for your dinner and overnight. 1400 Hrs. Afternoon game drives in northern Serengeti Kogatende/Bologonja area following the great migration at Mara River. 1400 Hrs. Afternoon game drive in central Serengeti – Seronera area. 1400 Hrs. Evening games drive in Masai mara. 1400 Hrs. Afternoon game drives in Masai Mara. Spend your time in this wild game park to experience the ultimate adventure in Kenya before returning to camp. After breakfast check out and drive to Nairobi, later in the afternoon drop off at the Airport for your flight home.